James Harvey designed the Brillo Box that Andy Warhol appropriated. 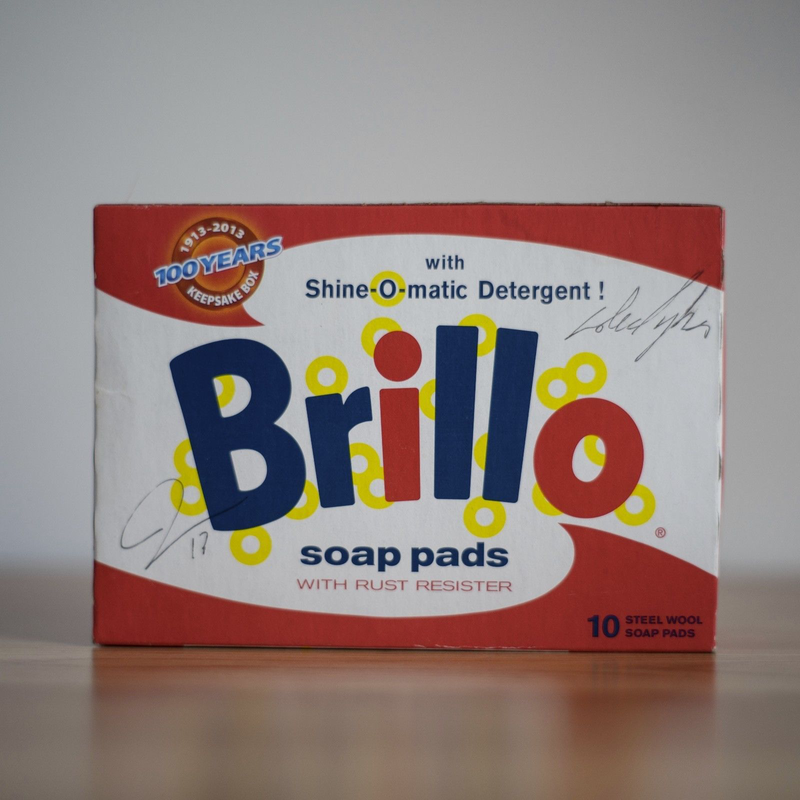 In 2013 Brillo released this Warhol-esque packaging. One night I bought the shelf out and had Lloyd the checker at the Broad St Kroger sign them with me. Art only works with an audience, even if that audience is the late night checkout guy at the Kroger. I guess I should track him down and let him know that his art is on sale.